For years, Alabama’s beaches remained a little-known vacation treasure, but more and more families are discovering the 32 miles of soft sand and turquoise waters that lace the edges of Alabama’s southern border to the Gulf of Mexico. 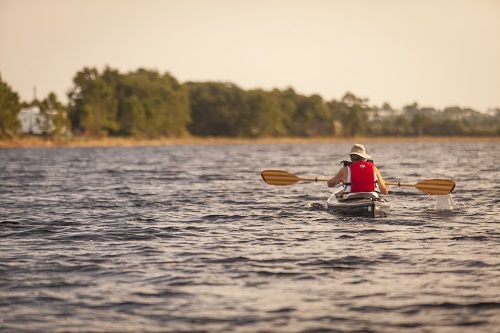 With attractions like championship golf, nature trails and water sports, there is much to be explored. Begin your last summer adventure by exploring the 32 miles of sugar-white sand and turquoise waters of Alabama’s beaches. Whether you want to play in the sand, surf or skim board, fly a kite or relax under the shade of a colorful beach umbrella…there is some fun to be had by everyone. Next, make sure to stop by one of the area’s many award-winning restaurants to indulge in fresh Gulf seafood. There is no better way to end summer than with a freshly prepared meal paired with a cold drink! In the afternoon, check something off your bucket list. 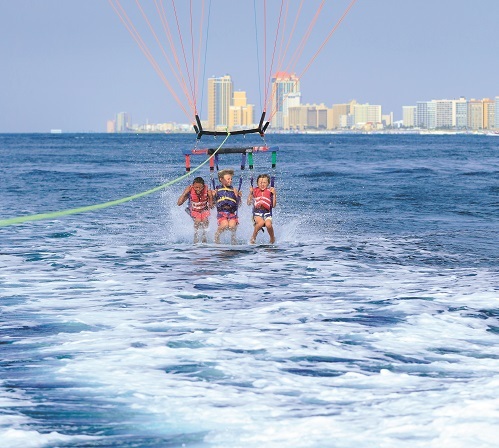 Choose from ziplining at The Wharf, parasailing over the Gulf of Mexico to taking a helicopter tour of the island. You definitely want to go back to school or work with a thrilling story to tell all of your friends. End your day by experiencing a coastal Alabama sunset. There’s nothing quite like watching the sun go down over the pristine waters of the Gulf. Fishing is a favorite pastime along the Gulf Coast. Before beginning your day on the Gulf or on the back bays, stop by one of the area’s many restaurants for a good, hearty Southern breakfast. Whether you’re fishing on the bay backs or on the open water, Gulf Shores and Orange Beach charter fishing captains offer trips for novice and advanced anglers. 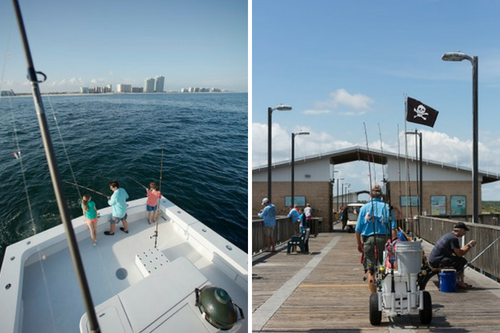 A fishing trip would not be complete without visiting the second longest pier in the Gulf: Gulf State Park Fishing and Education Pier. Guests can purchase bait and fishing permits at the pier, too. At the end of your day of fishing, take your catch to a Hook It and Cook It restaurant where the chef will prepare your fish for you. Following lunch, you can spend the afternoon learning about the unique marine life that call Gulf Shores and Orange Beach home. Take a dolphin cruises and watch bottlenose dolphins dive in and out of the water. 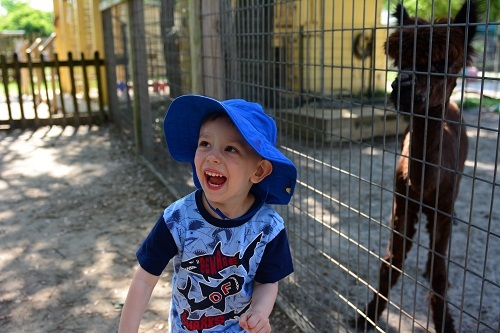 If you’re looking for something really “wild” to do this afternoon, visit the “Little Zoo That Could.” The Alabama Gulf Coast Zoo houses more than 500 exotic animals. You can also get up close and personal with animal encounters. Interact with baby kangaroos, lemurs, reptiles and more.